Just a quick beauty post for you today. Yes, I’m a bit late to the party with this but it’s so beautiful I just needed to show you, because, well, I'm in love. 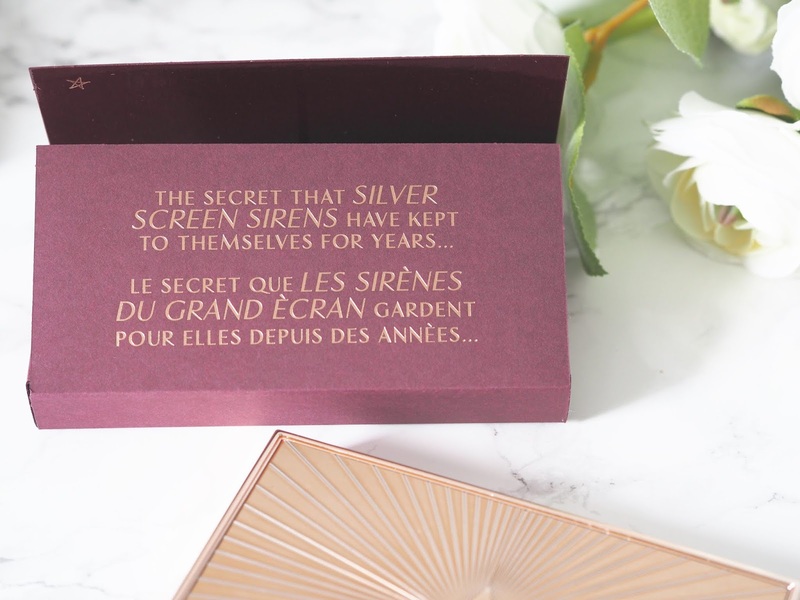 .......the Charlotte Tilbury filmstar bronze & glow palette. Look at the packaging, you just know it's a thing of beauty before you even open it up! I’ve wanted this for so long but kept telling myself it was just too much to pay for a ‘duo’ palette and could not justify it. I've been into the store on a few occasions, certain I would purchase, then changed my mind because of the cost. It's not the cost per se but the fact that if I didn't like it I'd be stuck with as you can't return make up (unless it's from QVC of course! ), I have no issue handing money over for other costly items that I know I can return. 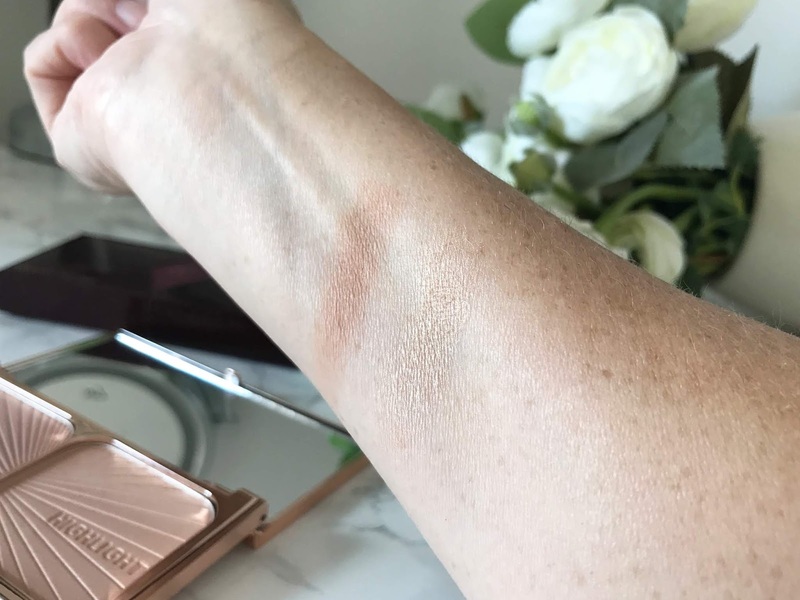 I’ve tried many bronzers in the past but always found they left my freckly skin muddy looking. I often have a problem with my face and neck looking different anyway, put foundation on my face and my neck doesn’t match as my freckles make my face look darker, go with a lighter foundation to match the neck and then I look too washed out. See my problem? I now tend to stick with my it cosmetics cc cream which is very lightweight, so I can always put an extra layer on my neck and it seems to match beautifully. Bobs your uncle! So, I went day tripping with my bestie to Meadowhall shopping centre in Sheffield and knew visiting the Charlotte Tilbury counter was high on my do-do list. In fact we went there first. The perfectly made up assistant popped some on and I fell in love a little bit, with the bronzer, not her, but I still said I'd go away and think about it as I couldn't shake this niggle that it was just too much to pay and was sure I'd find something similar for half the price. Anyway, long story short, we shopped, we ate, we drank, and shopped some more. I didn't fall in love with any other bronzer because my heart was still at the Tilbury counter in Rackhams!!! We had to walk by Rackhams on the way back to the car park. I managed to get past the store, but then stopped and did a backwards glance, then looked at Sarah with my confused face, and at that point Sarah was like "oh, for goodness sake just go and buy the bloody thing, YOLO and all that!" So I did just that. Even if I slapped it on my face and decided I didn't really like it after all, YOLO!!!!! I needn't have worried, not one single bit, because this bronzer is THE greatest thing for my skin. Well, after my it cosmetics cc cream and my BECCA blusher, but you know, it's right up there. It's perfection. There's no glitter (hate glitter with a passion-ask any of my friends), there's no sparkle, just pure colour and a special glow and that's just with the bronzer never mind the highlighter. Oh, if you're wondering, the shade I use in the BECCA blusher is Flowerchild, incredible and so natural, it gives my face life! I get mine from SpaceNK and I'll link it here for you. 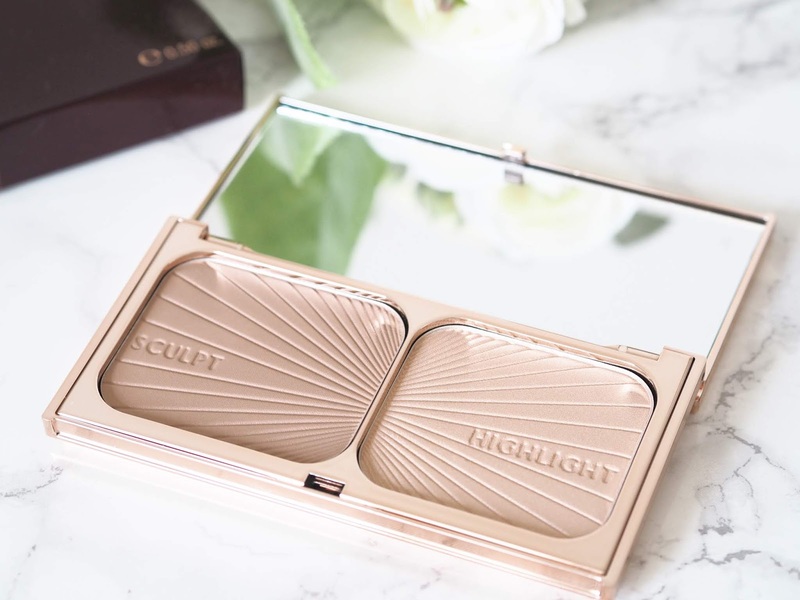 You can see from the swatches that the shades are so beautiful, and it's the most fabulous contouring palette for light to medium skin tones. This sculpts my face like nothing else, giving fabulous framework and cheekbones that come out of nowhere. They are the perfect tones for my fair-ish skin and it's buildable. I originally thought I'd only wear this in the evening/nights out but I wear this every single day WITHOUT FAIL. The highlighter, I mostly use just under my brow bone, and that is only for rights out really. It's not that I don't like the highlighter but during the day I prefer a liquid highlight as for me it's more subtle. I can confirm the Filmstar bronze & glow palette is definitely worth all of it's 49 pounds that's for sure. (Nick will be choking on his coffee if he reads this!) You can find the details right here, go on, have a little look, and if you too are dilly-dallying over buying this, just do it, in the words of Sarah, YOLO. 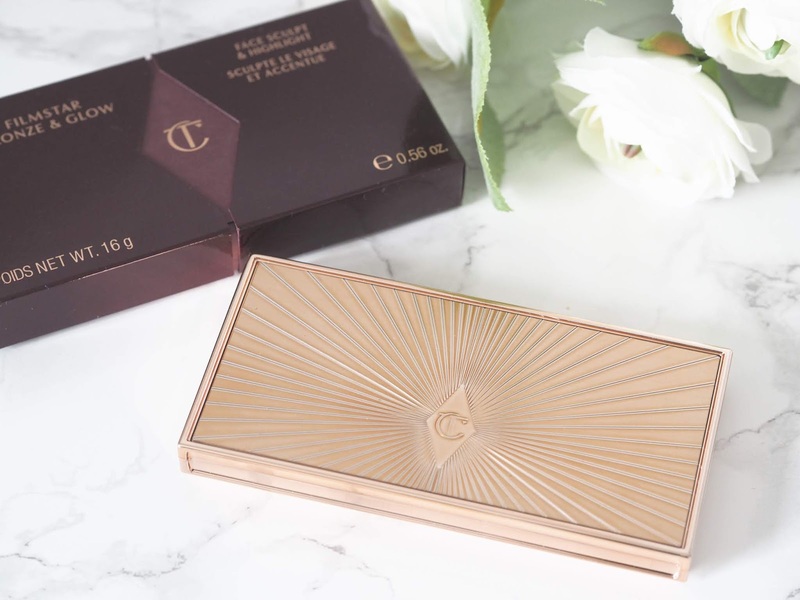 Have you tried this palette or any other Charlotte Tilbury product for that matter?